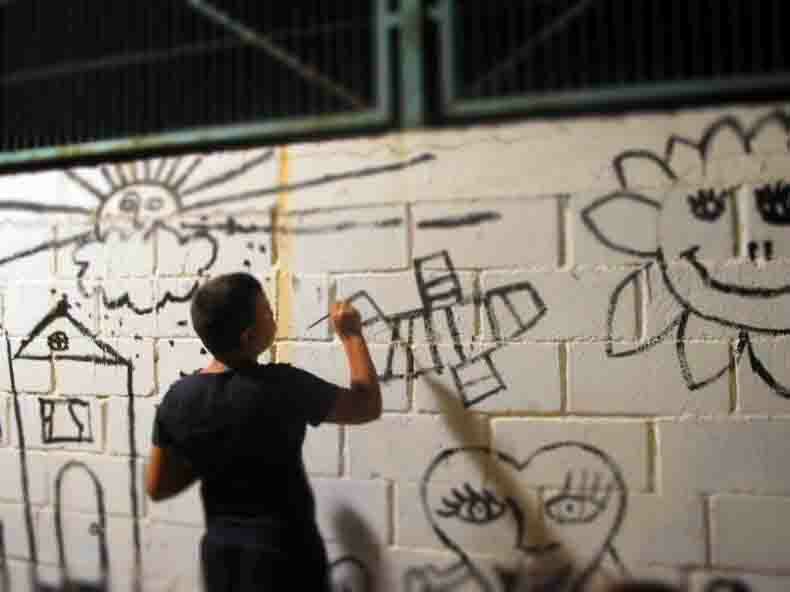 Former MPhil student Elif Eda Tibet tells us about her latest documentary. Amchi is an observational road trip documentary, about an idealistic Tibetan doctor Amchi Karma Chodon journey with her five month old baby Teljor into the Himalayas of Ladakh. Amchi and her son Teljor, on their way to raise awareness and conduct a final course with her students on women and child healthcare. 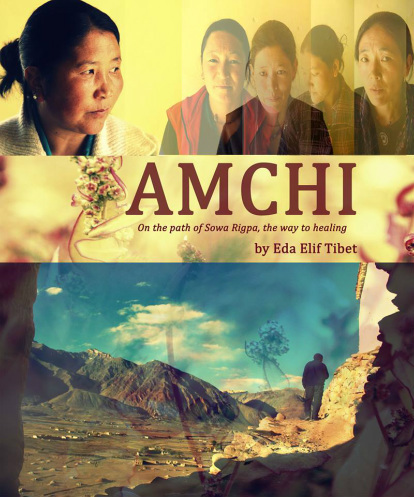 In the film Amchi Karma goes to Zanskar, the most remote region in Ladakh, to give a final revision class for her graduated students on women and child-healthcare. 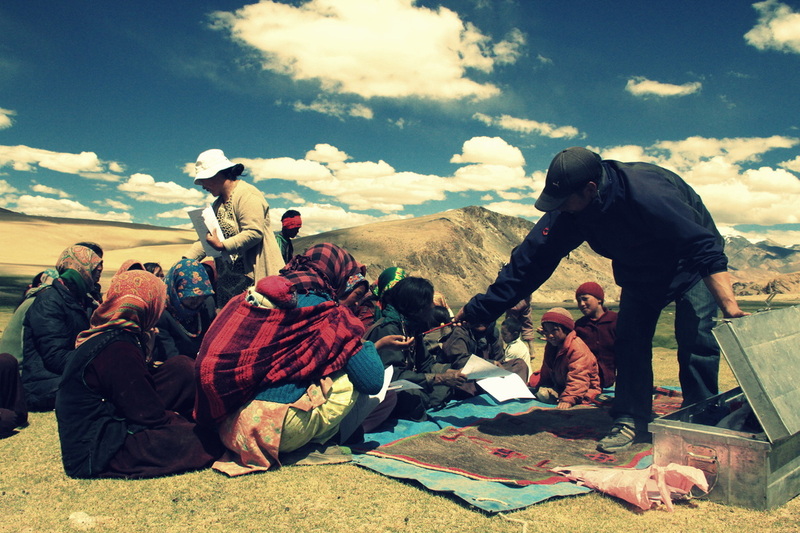 Before she reaches to her final destination she stops by at Tso Moriri, the highest lake in Ladakh near Korzok village to find the Changpa nomads so to give them an awareness campaign on preventive women and child healthcare. The film raises concerns over the protection of the medicinal plants which are under great threat due to climate change, overgrazing, unscientific exploitation and questions the future of the young amchis, as Tibetan Medicine if not supported by the government and its own people, is a tradition under the threat of extinction. Amchi Karma Chodon a Tibetan refugee and a prior nomad herself, holds the Katchupa diploma (Tib. dka’ bcu pa), which she received from the Central Institute of Buddhist Studies, Choglamsar. She is the main professor during the Dusrapa training (4 years education program for Tibetan Medicine) at the NGO where she currently works for in Ladakh Society for Traditional Medicines (LSTM). She has been a social worker for the last thirty years of her life, in which in between she ran a clinic for sometime in Leh. Her skills and knowledge have given her the opportunity to travel to England, Switzerland and France, where she has given lectures and treated European patients as well. 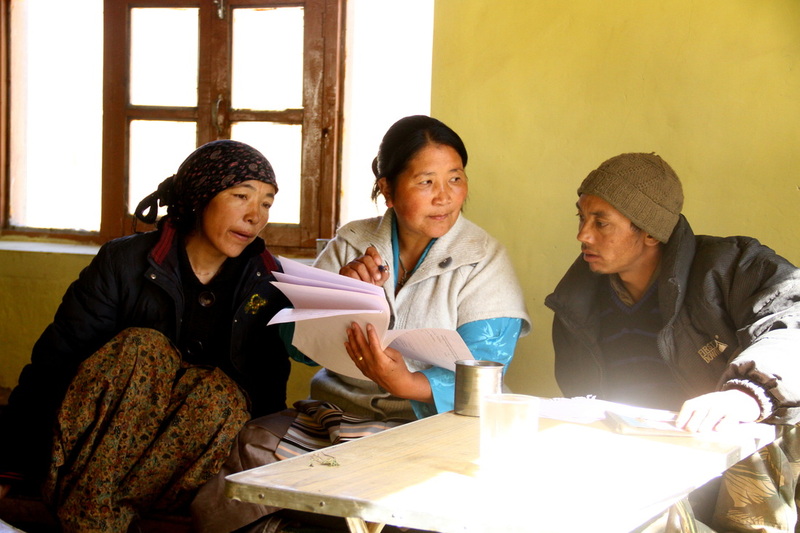 Amchi Karma Chodon and Amchi Namgyal at Korzok Village with the Changpa people near Tso Moriri Lake during the women and child healthcare campaign. It was during my time at the NGO (2012) where I was assisting the program coordinator on financial and administrative issues where Amchi Karma suggested that I come and travel with her, to understand better what they do. I was delighted by her offer and made some funny dance moves out of joy. Amchi and her eldest son, a 14 year old Monk who came for a visit from DehraDun, laughed out loud. She observed that I was just like her son. This little brief dialogue was the beginning of my very meaningful friendship with this very intelligent and courageous woman, who’d play a major role in my spiritual, mental and personal development in the following months. I felt extremely fortunate, that I was there with her to film events as they happened. As a team in LSTM we had the idea to use some visual clips for fundraising purposes. Also, Amchi Karma Chodon wanted to interview her students’ for their feedback on the courses she had given to them and she wanted them to raise their voices on the difficulties they faced while treating patients. 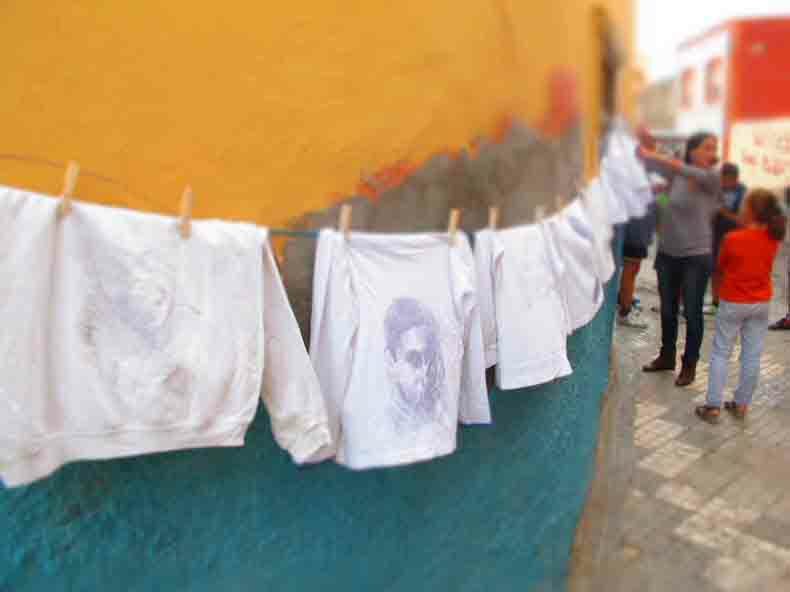 So initially we used visual material solely for research and documentation purposes. Although I did not speak and understand a word of Bhoti language, I had this strange instinctual feeling that I should be filming any detail that I was allowed to by the Amchi, students and the people. We actually had no time to even set up a tripod, as we were on a constant move and had lots of work to do to carry out the awareness campaigns. We would carry them out in two to three different villages a day and would go to sleep by midnight and wake up early the next morning, to carry on. 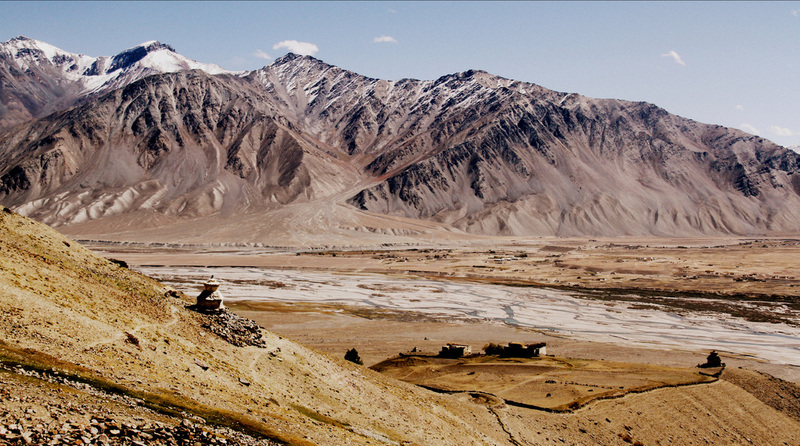 Landscape of Zanskar, early in the morning on our way to the gompa with Amchi Kanji. After a very challenging, exhausting and yet a life changing experience of 15 days travelling in Zanskar (October 2012) together in very difficult conditions. Horrible roads and flat tires were the least of the challenging issues we faced. On the way back I got extremely sick. Amchi Karma diagnosed me with a minor inefficiency problem in my left kidney that was probably triggered by the high altitude, an illness that was hidden in me for long. After a week of trying to recover in Leh, which was quite difficult as the weather got extremely cold, dropping down to minus 15 degrees at nights, I had to fly back to Delhi, and later on had to go back to my home in Istanbul. I insisted on using Amchi Karma’s prescribed medicines for 52 days, and I was entirely cured within two months. The doctor in Istanbul couldn’t believe how effective the medicines she gave were, in the beginning the doctor just laughed at me, and insisted that I take Western medicine just in case. Amchi Karma and her students in the class at Amchi & Astrological Centre in Zanskar. But I knew that this was not a mystical recovery, the medicine I used was based on a thousand year old heritage, and on medicinal plants that would grow only on the high altitude of the mighty Himalayas, ancient scripts based on astrology, prayers and hundreds of trials and enhancements made on it. There was nothing for me to be surprised about. The surprised doctor keenly watched the film and admitted that there was a lot for him to learn from holistic medicine, which is exactly what LSTM strives to achieve by bringing together Tibetan Medicine with Allopathic medicine in India. 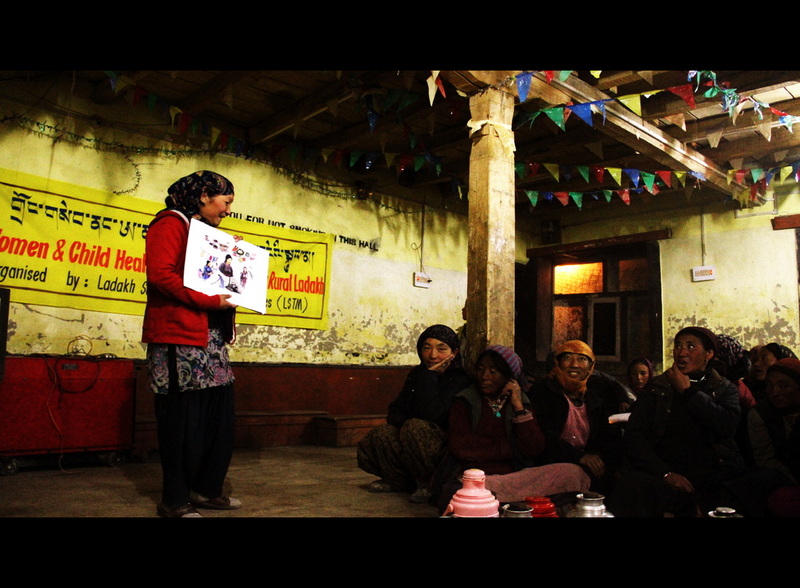 Amchi Karma’s student conducting women and child healthcare awareness campaign in her own village in Zanskar. So after I became better, I sat down to watch the recently transcribed material we had, and I could not believe my eyes that there was a very satisfying and natural scenario to it. After asking for the full consent and permission from Amchi Karma I proposed to turn it into a film. All I did was to bring things together as they happened and ask to my favorite two-world famous Tibetan musicians Tenzin Choegyal and Ani Choying Dolma for consent four soundtrack to their beautiful songs. Both said yes, and have granted their music with great generosity. It actually took me a whole year to decide what to do about the film, whether I should have gone back to Ladakh to improve the film or should I just be going on with what I was gifted for the time I was granted there. I followed my inner voice and decided that I should follow the amateur in me. I decided to keep the film as sincere and simple as possible and let go of my desire to improve it artistically. That would have been another year of struggle, and might have complicated my relationships with the people out there if I went with a professional team of cameramen. After I made up my mind, it took me only four months to finish the editing myself. I needed no color or sound correction as what I had was absolutely beautiful thanks to the serene landscape and good fortune we had while filming randomly. I then submitted the the film to various festivals. It recently won two awards of excellence for the best original song and filmmaker of inspiration, and two honorable mentions for best originality/creativity of the story and best cinematography from Indonesia’s prominent International film festival of Jakarta (June 2014). The awards were given by the health minister of Indonesia. We have also been nominated for the best foreign documentary film by American Online Awards (Dec.2014) and have been officially selected for a showcase in Lucerne Film Festival in Switzerland (Oct 2014). Aside from raising awareness and advocating for the recognition of Sowa Rigpa around the world, opening up conversation among the prominent amchis to consider women and child healthcare more in depth within the discipline, our other major aim continues to be to find the right sponsor for LSTM. I believe the film can play an important role in this goal. Our film was also reviewed by The Tibetan council for Medicine and gained approval from the prominent amchis from Men- Tsee Khang in Dharmsala which was established by his Holiness the 14th Dalai lama during the 50’s after establishing his government in exile there in India. The film was then screened at the Tibet festival of the people of Himalayas organized by the Tibet bureau of his Holliness in Paris on the 14th of June in 2014, followed up by a conversation with Amchi Tsamchoe. Very soon Amchi will be distributed by a professional distributor and all the royalty rights will be dedicated to Amchi Karma and her social projects on women & healthcare. After all, participatory and shared anthropology should not just remain as an approach for the making of the film and the post production process but should be there as a concern for after what happens also. I believe filmmakers should share their earnings with the people they film as they are the reason for their films to come into existence in the first place. It was saddening for me to read just recently that the lead Nepalese actor today , who played at the inspiring film nominated for Academy Awards, Himalaya by Eric Valli is still penniless and struggles for survivor. I dreamt of becoming a filmmaker after seeing that film. It is very upsetting to see that the industry and agents between the broadcasters and filmmakers are making things very difficult, and that is why I decided to remain out of the industry. I managed to make my way into being even more creative and productive while producing really low budget films that got into festivals and Tv broadcast, as I collaborate only with the like minded people. 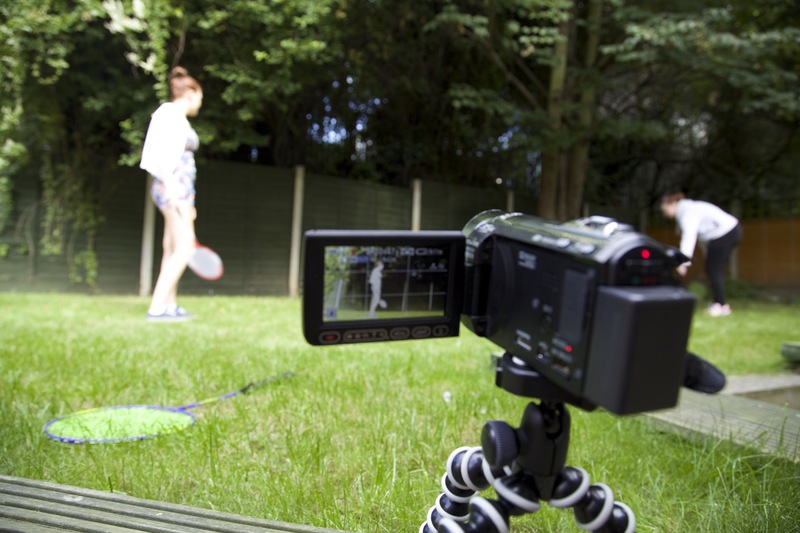 As we live on the cutting edge of technology, it is certainly the time for independent documentary filmmakers and visual anthropologists to establish their vision more widely. One should recognize and admit that the making and the destiny of a film is beyond the filmmaker herself, as the universe may have better plans with it and it would be a pity if one blocks good things from happening with unnecessary limiting self interests, as for me there is nothing so important about “the self” if compared to the amazing life stories we have luckily access to film. The film’s main characters should become full members of the research and film-making process. There should be the desire to reach and work towards social change leading to a fairer society based on self-management and solidarity among persons and groups. There should be a (Self-) critical passion for revealing hidden aspects of our society and ourselves. There should be a conviction that social change will only follow individual transformation, and can be best achieved through group work and equal participation. To ensure that the achievements of our individual and group subjects work to reduce negative entropy. In order to work this way it is imperative that no person or institution, including film / research team, NGO or association sets the agenda on the basis of their financial contribution. It is a prerequisite that our documentaries are majorly self funded- and visuals are strictly protected and not shared other then education and cultural use with third parties. That all the earnings from awards and royalty rights of the distribution of the films or images shall be shared equally between the filmmakers and the main characters. Reflexion– expression without words; a remark expressing careful consideration; a calm, lengthy, intent consideration. 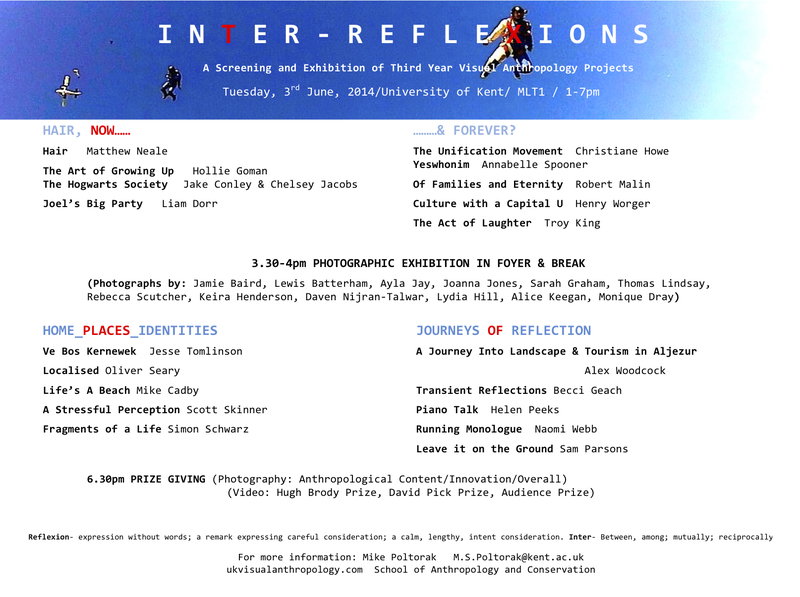 This year’s screening and exhibition of third year visual anthropology projects was titled Inter-Reflexions. 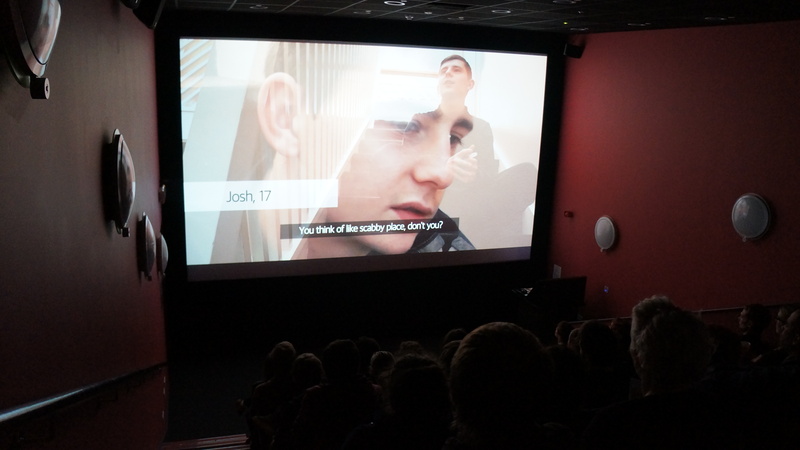 The organisation of the screening programme made more explicit how our students’ projects speak to each other as much as they do to the wide issues they engage with. They testify to the processes of collaboration and feedback they followed and inspiration they took from teaching in visual anthropology theory in the Autumn term. In this yearly event we celebrate our students commitment to creative use of photography and video that takes visual anthropological methodologies into engagement with the issues and interests that inspire and fascinate them. 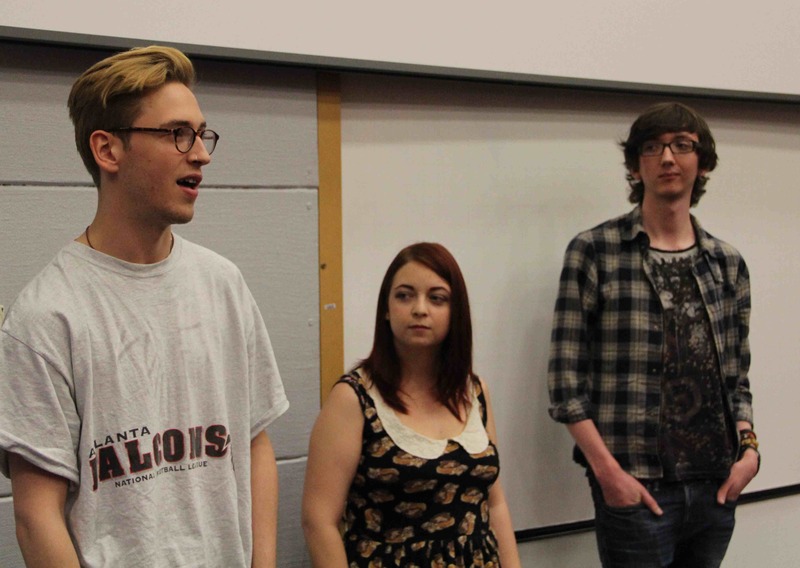 Matthew, Chelsey and Liam answer questions about their films. For the screening we started with the body’s most symbolised extension into the space that surrounds us in Matthew Neale’s Hair, a critical exploration of the meanings of hair and hair products. The student experience also featured strongly in Hollie Goman’s intimate enquiry into what university means to students, in The Art of Growing Up. In an altogether more imagined and playful space of magic and alternative use of university spaces, Jake Conley and Chelsey Jacobs, entered into the games of the Harry Potter inspired university club, The Hogwarts Society. By contrast, Liam Dorr took us off campus in an ethnofiction inspired film on one student’s plan for the perfect party. Ongka’s Big Moka was the inspiration, but Joel’s Big Party is a lot funnier. From the student ‘hair’ and the now we moved to the theme of eternity and longevity in shorts that tackled religion, activism and laughter. Christiane Howe deepened our appreciation of arranged and sometimes fortuitous marriages in The Unification Movement. 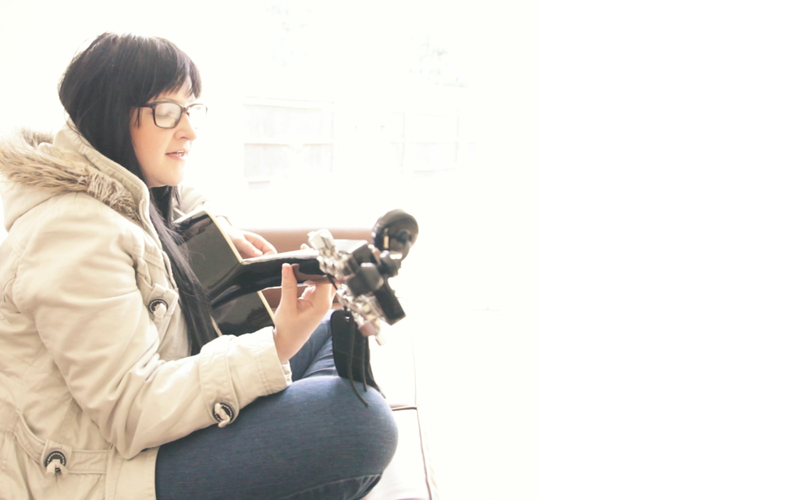 Annabelle Spooner travelled to South Korean churches in the UK to see the challenges they face in Yeswhonim. In Of Families and Eternity, Robert Malin delivered new insights from behind the doors of the Mormon church. In fighting for the continued use of their skatepark on the Southbank, the activists that Henry Worger collaborated with in Culture with a Capital U, also desire a sense of continuity and longevity. Troy King’s The Act of Laughter delved deeply into the challenges of being a stand up comedian and found strong links with anthropology. Dr Oliver Double, who starred in Troy King’s film, dropped in to contribute further insights into stand up comedy. In the break we had the opportunity to look at the photographic exhibition. It covered similarly wide-ranging topics, exploring a range of photographic techniques within anthropology as well as diverse visual subjects. From the performance of gender and sexuality, to the effect of moving into a retirement home, to the emotional journey of a mixed-martial arts fighter as he prepares for, and takes part in, the biggest fight of his career, the photographic projects asked how, as researchers, we can explore and depict the encounters with life that make up the human experience using photography. This year’s photographers were: Alice Keegan, Lewis Batterham, Jamie Baird, Ayla Jay, Joanna Jones, Sarah Graham, Thomas Lindsay, Rebecca Scutcher, Keira Henderson, Daven Nijran-Talwar, Lydia Hill and Monique Dray. Jesse Tomlinson answers questions on Cornish Identity. We returned from the break to the themes of home, place and identity, linked in a series of shorts that travel from Cornwall to Canterbury’s Good’s Shed, to London protests against homelessness, to a novel exploration of the idea of stress and ending with one man’s fight with mental illness. Jesse Tomlinson tested claims for Cornish identity in Ve Bos Kernewek in a short in which he was also tested. In Localised, Oliver Seary took us to the heart and soul of local produce, through evocative visual portraits of traders from the Good’s Shed. Experimental in format with a challenging message, Mike Cadby, delivered a novel framing of the challenge of homelessness in Life’s a Beach. Scott Skinner addressed the question of how the idea of stress effects us using a key TED talk as a vehicle propelled by anthropological interest in the reception of media. 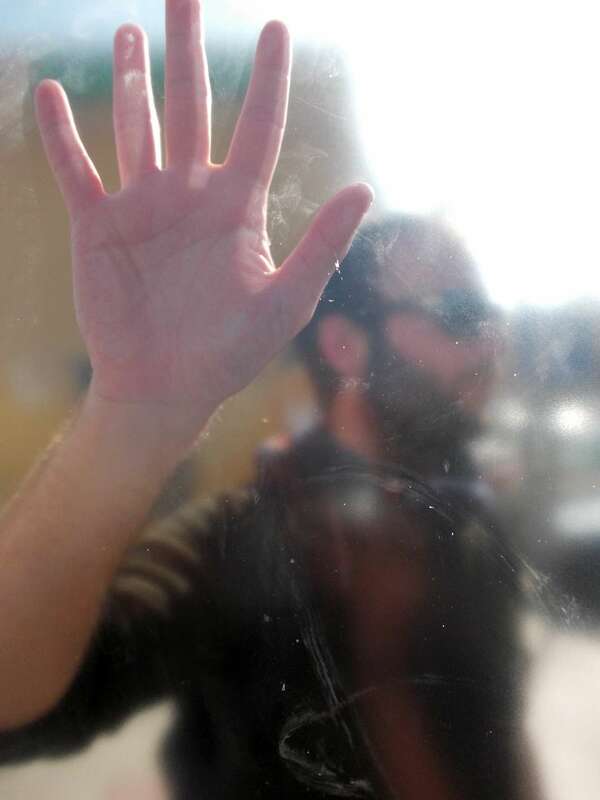 A Stressful Perception aims to transform the audience’s perceptions. In Fragments of a Life, Simon Schwarz took us into the home of one man and their journey of facing mental illness through the camera. 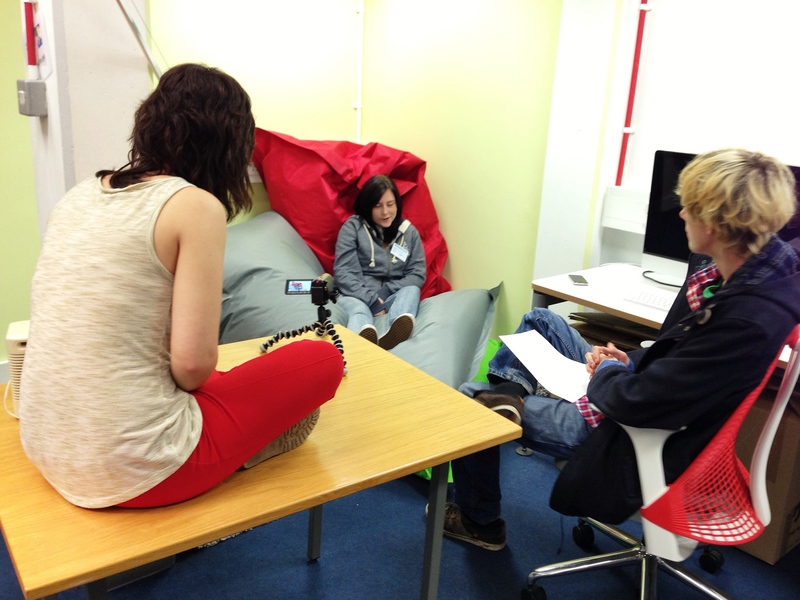 Our final group of films shifted more deeply into the theme of reflection. In A Journey Into Landscape & Tourism in Aljezur, Alex Woodcock, journeyed to Portugal to meditate on a village where most of the population now live in cities. In Transient Reflections, Becci Geach translated the experience of being human in moving trains into a visual aesthetic that linked us to fellow passengers. Piano Talk, focused on the destination. Helen Peek explored the reasons why people come from far and wide to play the pianos in King’s Cross Station. Naomi Webb’s Running Monologue, was a strikingly personal portrayal structured by a powerfully moving motif. Sam Parsons’ gravity defying film, Leave it on the Ground, opened up the social and personal motivations of sky divers and concluded our afternoon. This concluded the screening part of the day. David Pick and Hugh Brody discuss the films during the break. 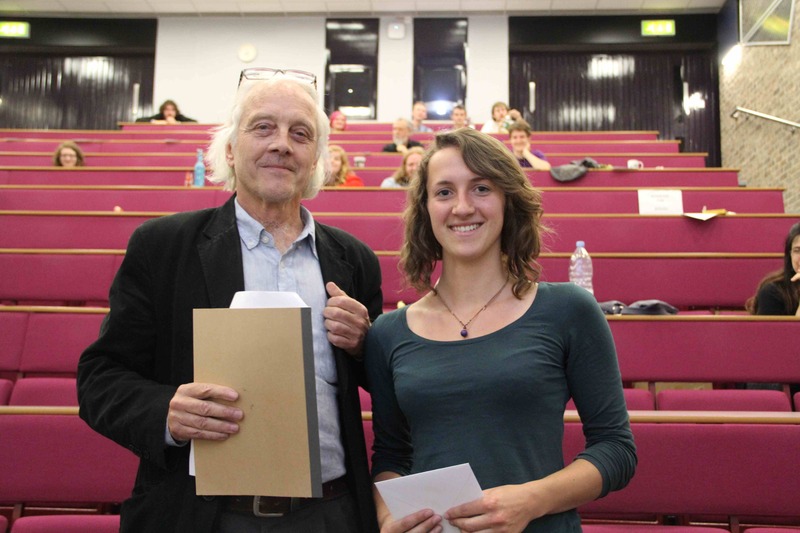 This year we welcomed back Professor Hugh Brody to award the prize in his name. We were also excited to learn how the Tracks Across Sand project has developed since last year. Tracks Across Sand is a major video project that looks the history of the first indigenous land claim in Africa. Last year he started a major fundraising initiative to fund the dissemination of the film and to create an online resource. This year he confirmed that he has got funding to screen the film all over the African continent and to set up an archive at the University of Cape Town. 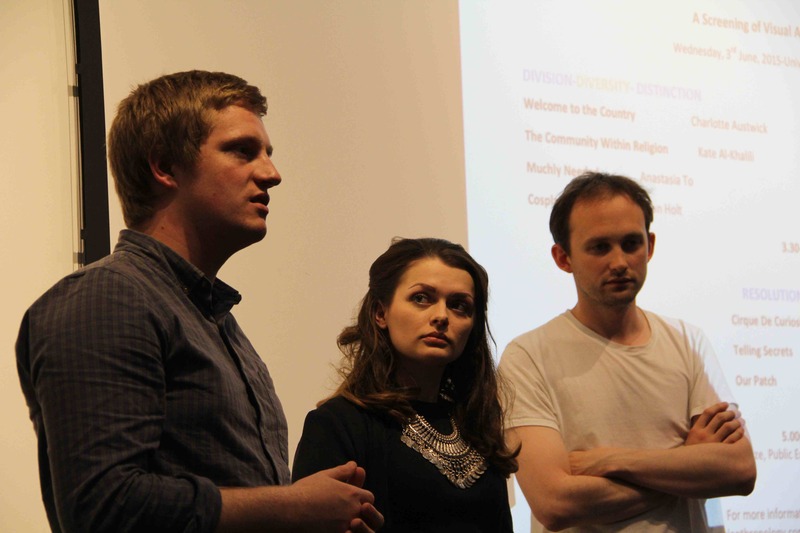 This year we also welcomed a new judge for the screening to award the David Pick Documentary Prize. In a career spanning more than three decades, David Pick produced and directed hundreds of television programmes in the UK, mainly for ITV. From science magazines (The Real World) to religious/ethical affairs documentaries (The Human Factor); from a twice-weekly live soap opera (Together) to filmed family comedy (Worzel Gummidge); from documentaries like The Tigers’ Tale, chronicling the excavation of The Channel Tunnel, to The Hannibal Test, which followed Ian Botham and elephants on a charity trek across the Alps. Are Mothers Really Necessary?, a seven-part series for Channel 4 on the work of the controversial child-psychiatrist, Dr John Bowlby, was focused on three of his major studies: Attachment, Separation and Loss. 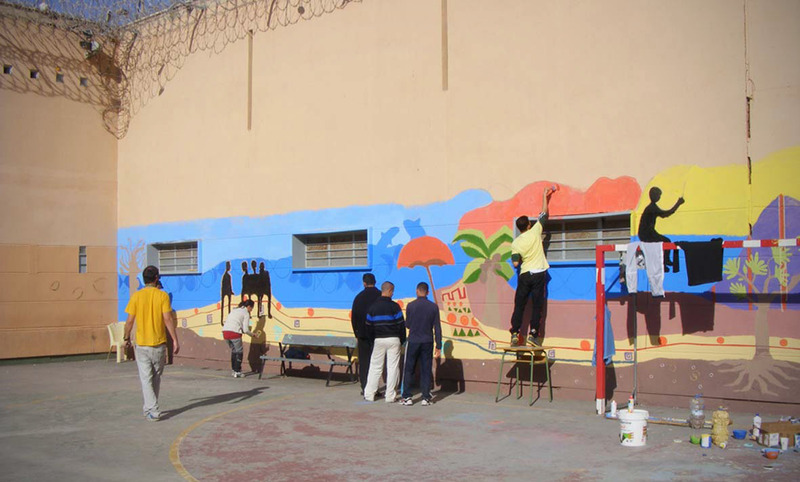 The filming presented many practical and ethical challenges to the documentary-maker: in a residential unit for children suffering the effects of severe emotional and/or physical abuse; in day-care centres for babies and toddlers; in a preparatory boarding school; in the mother-and-baby units of British and American prisons; in the cancer wards of children’s hospitals; and with grieving parents in a children’s hospice. 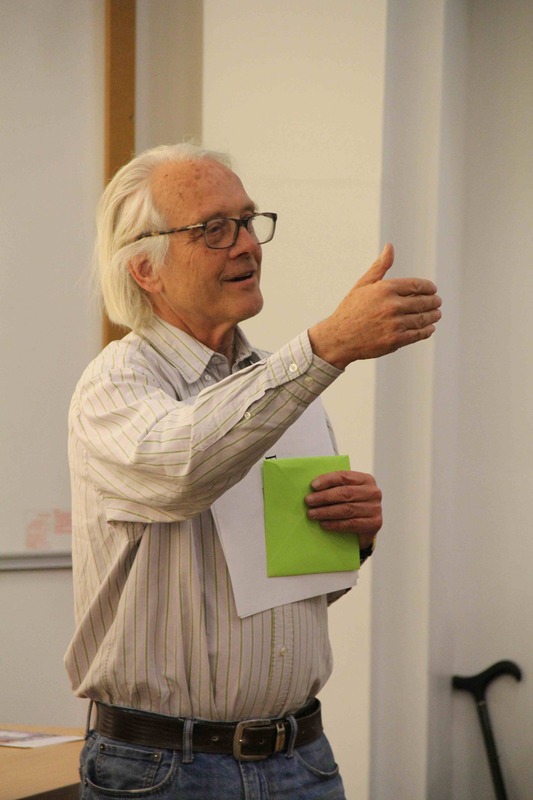 Since retiring from TV, David has studied Creative Writing, taking two modules of a part-time BA at UKC before joining the MA programme at Christ Church Canterbury, where he gained a distinction. His first novel, Mrs May: A PsychoSexual Odyssey, tells the story of a primary schoolteacher’s mission to redeem a teenage thug, once a delightful child in her reception class. Mrs May is available as a paperback or e-book on Amazon. In the dialogue between Hugh Brody and David Pick we hoped to find the creative tension and possibilities between the increasingly blurred boundaries of ethnographic and documentary filmmaking. Sarah receives her award from Maria-Paz and Glenn. The photography prizes were judged by Glenn Bowman and Maria-Paz Peirano. 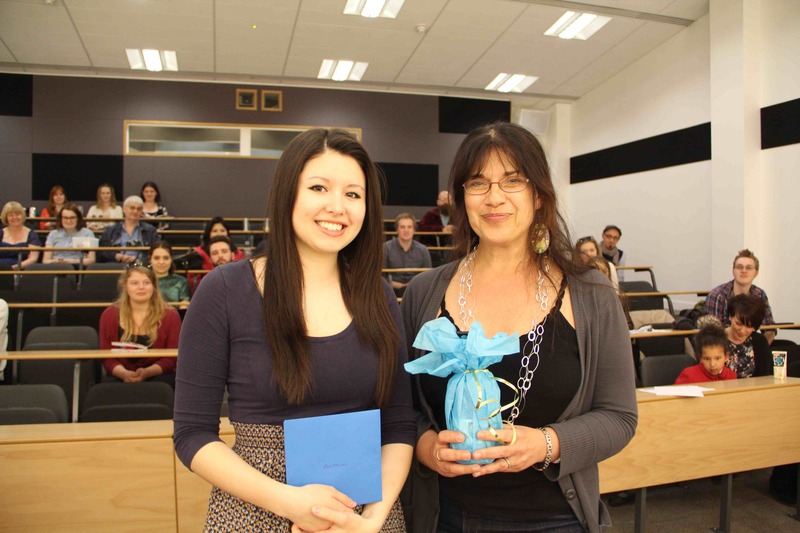 Maria-Paz Peirano is a PhD student researching Chilean cinema. Glenn Bowman is a reader of social anthropology at the University of Kent, Director of the Liberal Arts programme and a visual anthropologist who uses photography extensively in his research in Jerusalem and the Occupied Territories of Palestine, Macedonia and Cyprus. To see photos of the day please click on our Flickr photostream. The photography exhibition can be viewed online here. 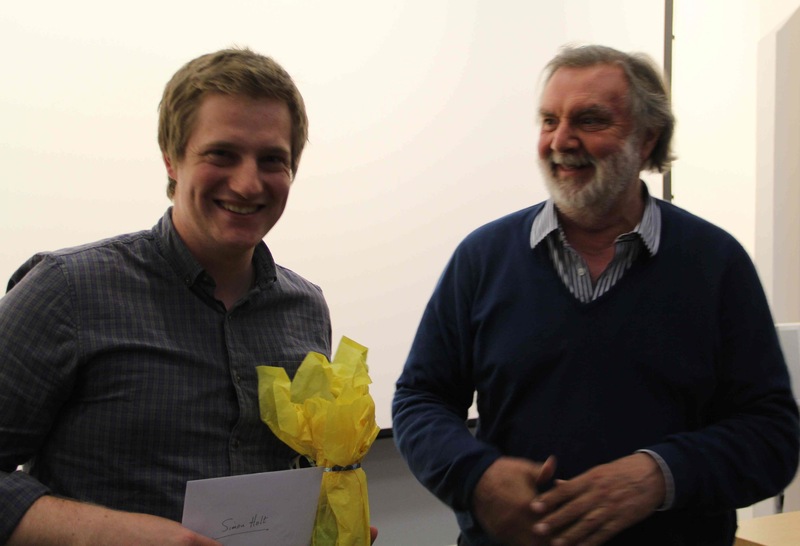 The David Pick Prize was accepted by Peter McCulloch of ‘Fragments of a Life’. Peter McCulloch, the key protagonist and collaborator in Simon’s film received the prize in his absence. Christiane Howe receives a special commendation. 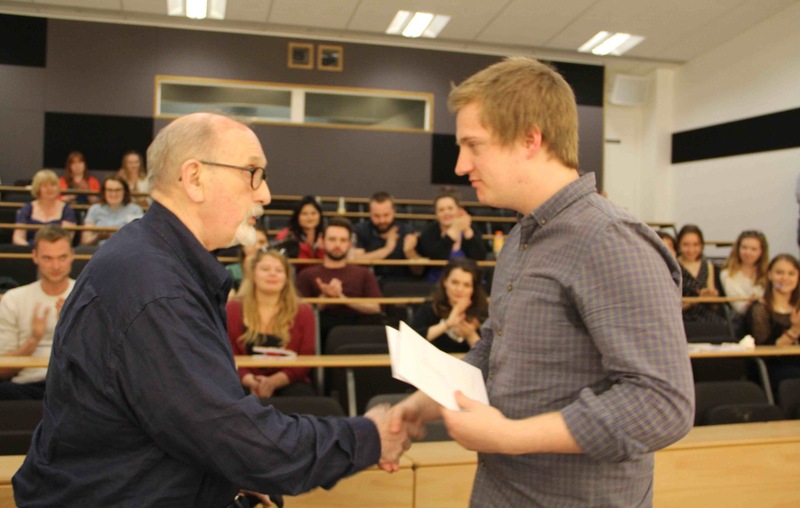 Liam Dorr receives an award for ‘Joel’s Big Party’. If you would like to see photographs of the event please look at our Flickr feed. Our thanks to Caroline Bennett and Mike Poltorak for the considerable work organising the exhibition and screening. Photographs by Caroline Bennett and Mike Poltorak. 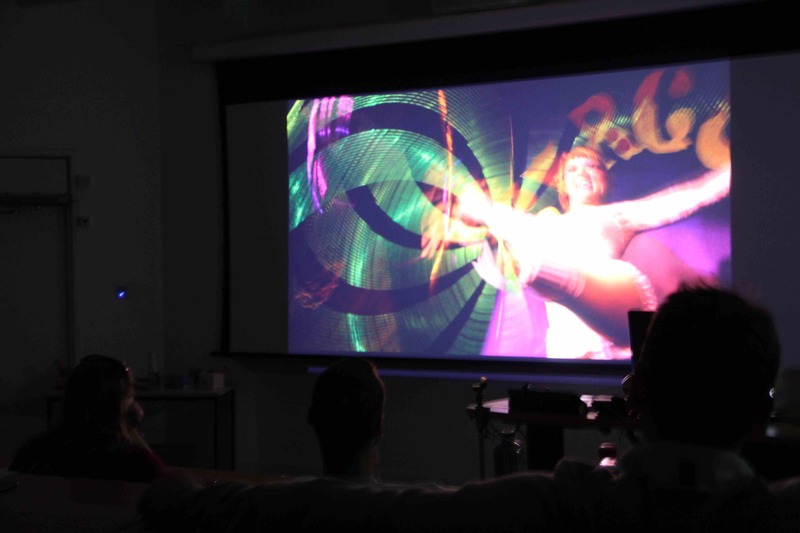 The screening and exhibition of third year anthropology student visual projects took place over a long afternoon in Marlowe Lecture theatre. The event was attended by a large group of students, staff and people who had featured in the films. We were especially happy to see Caroline Grundy, a longstanding member of staff who had recently retired. For many years she had wanted to be present for the whole event. 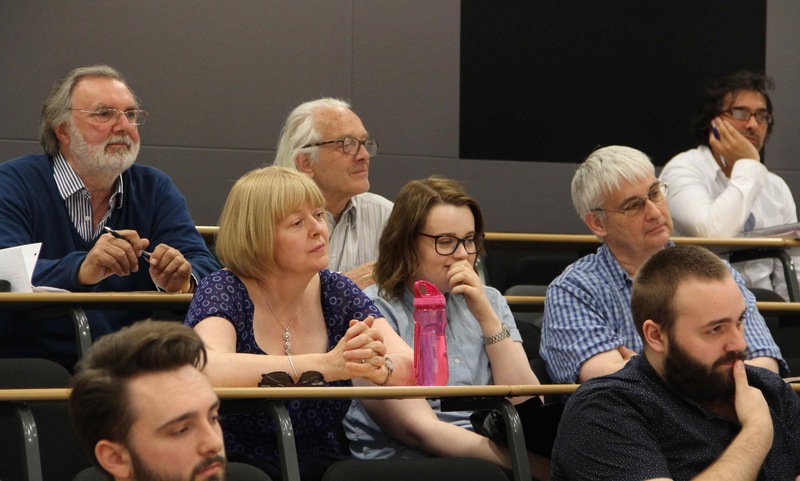 This year’s photographic display covered a wide range of themes, demonstrating a common desire among students to engage with people in the local area and explore anthropology’s relevance for making sense of cultural difference in Southeast England. 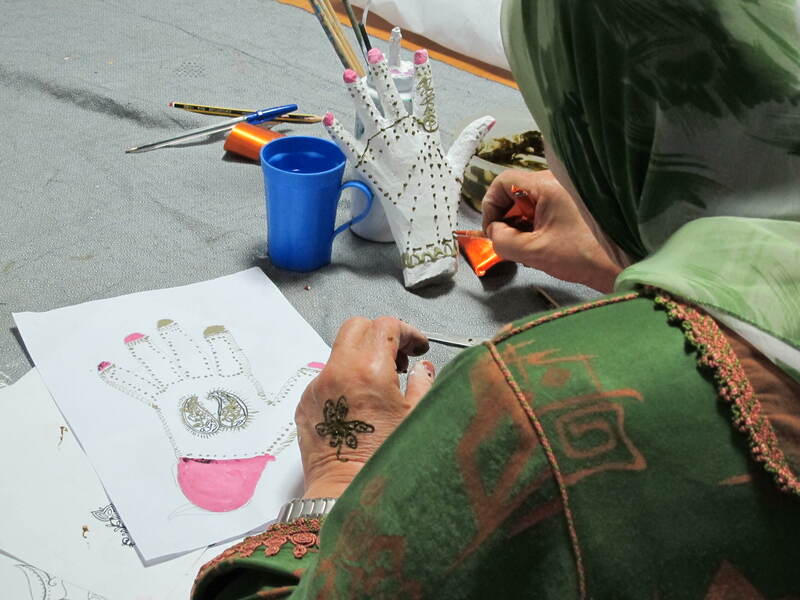 Topics covered include the Kurdish Newroz (New Year) celebrations in Finsbury Park, sexuality, tattooing, Canterbury and its cathedral, cultural greetings, Canterbury markets and more. Photographic work by Katie Bowerman, Bianca Corriette, Helen Delmar, Myrthe Flierman, Sophie Giddings, Tabitha Hamill, Ville Laakkonen, Sarah O’Donovan, Sophie Tyler, Emma Ward and Matt Weston was exhibited in the Marlowe Foyer. Glenn Bowman judged the three photography prizes. The theme of people’s engagement with place was also very strong in this year’s video projects. The Cathedral featured in two meditative films by Charles Beach and Claire McMurtrie. 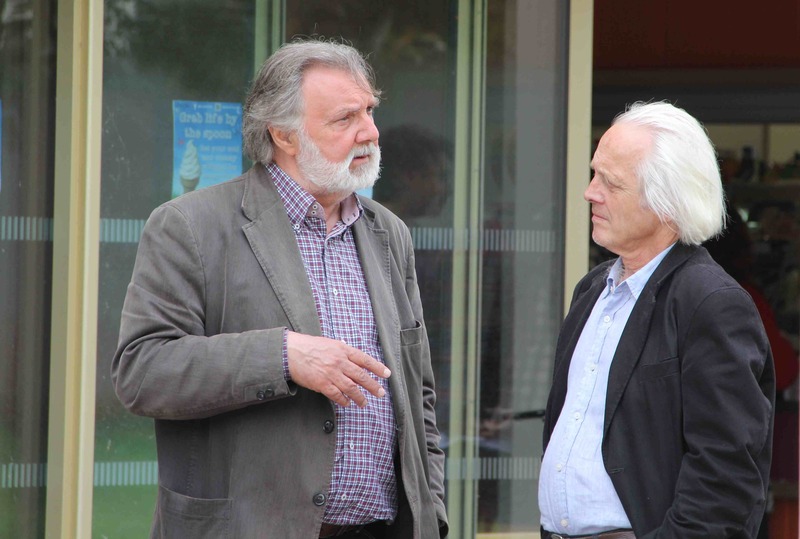 We were extremely happy to welcome Professor Roger Just back this year. His popularity and inspiration in the year of his retirement had prompted the students that year to suggest a prize in his name. This was the last year that students taught by him were still at Kent. 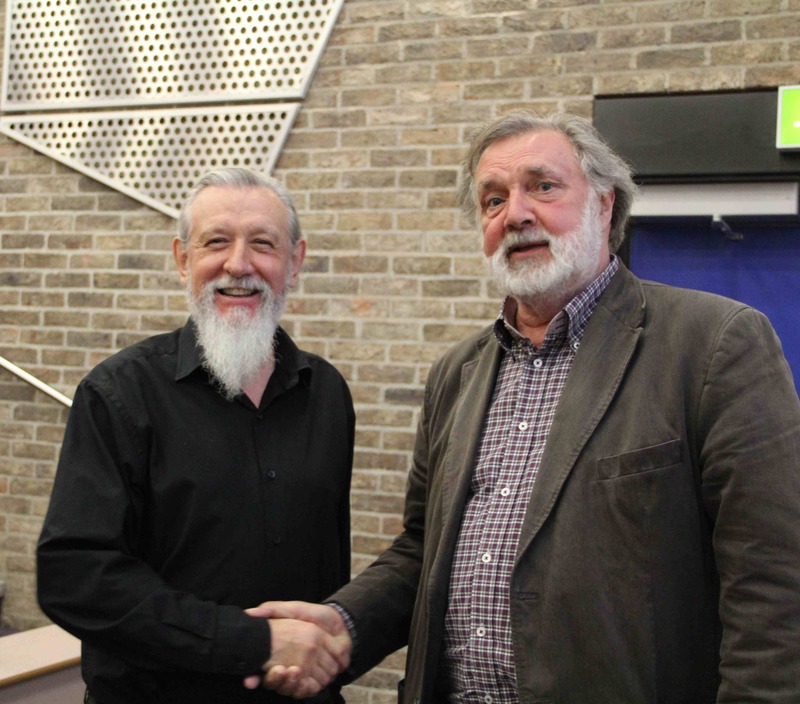 We were very happy to welcome a longstanding friend of the school Professor Hugh Brody, and previous Stirling Lecturer, to award a prize in his name. He took time from a intensive schedule of screenings of a groundbreaking film project that documents an indigenous land claim in South Africa. In 2011 he gave a retrospective of his work at Kent. Our third judge, Dr Kate Moore, is also a documentary filmmaker and had recently been awarded her PhD in visual anthropology for a project in collaboration with the Powell-Cotton Museum on their Angolan collection that led to a major exhibit, ‘TALA! Visions of Angola’ that gained widespread acclaim. 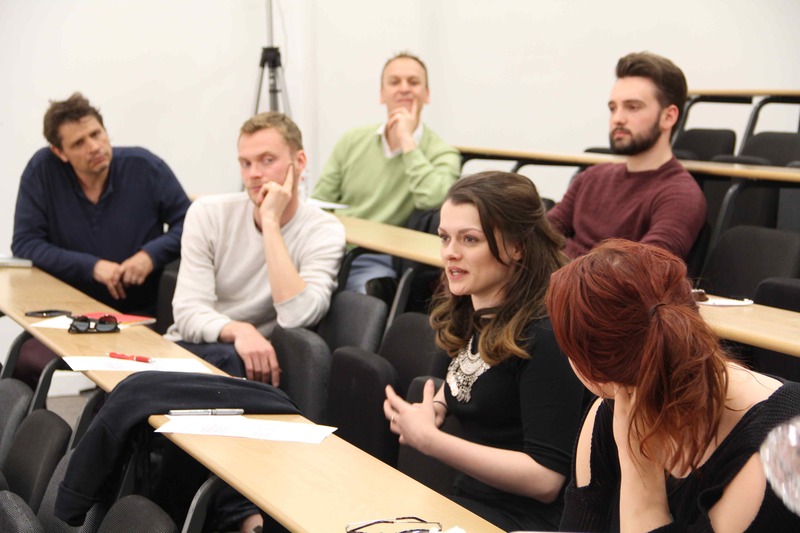 As the teacher of the course last year, we were especially interested to hear her opinion of the changes in filmmaking styles and focus from last year’s cohort, screened as ‘Self Spaces’ . We reflected on the students last year and what were they doing now. Nazly Dehganiazar and Harriet Kendall won the Roger Just and Hugh Brody prizes last year for their films ‘Canterbury’s Buskers’ and ‘Voices from the Back Seat’ and we were all very moved to watch their video messages from Holland and the US. Nazly is now doing an MA in Social Anthropology, while Harriet is using her anthropological skills, in the year before going to film school, as the cultural adviser in the English Village in Disneyworld. Films were grouped into themes related to peoples’ engagement with space and introduced by the teacher of the video project, Mike Poltorak. 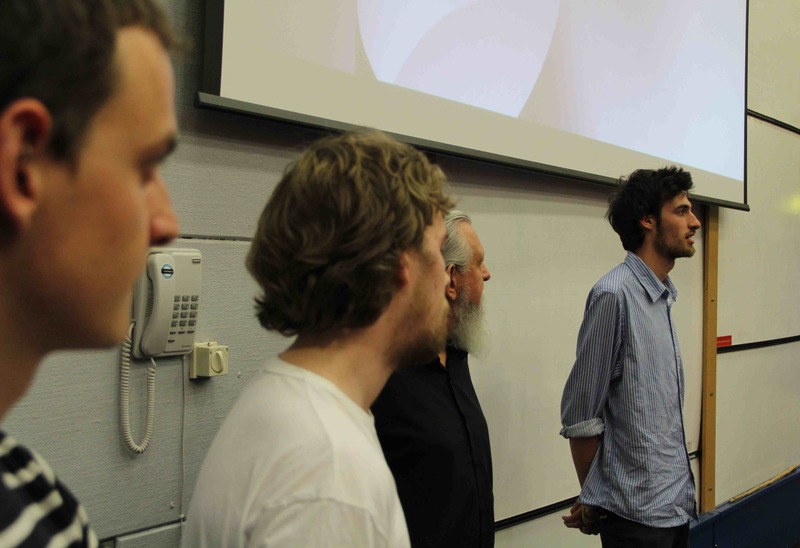 After the screening of a group of films, the directors came to the front for a Q and A. If you’d like to make your decision about your favourite film please feel free to view and read about them before you read the judges’ choices below. Hugh Brody spoke about the high quality of films this year and how so many of the films deserved a prize. He reviewed all the film drawing attention to particular things he liked in each film. The judges’ decision however was unanimous. 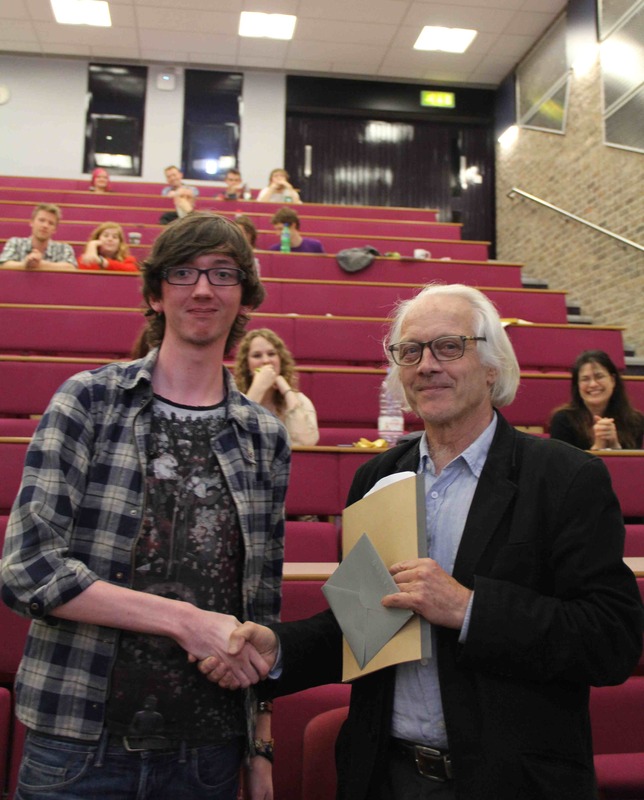 The Hugh Brody Prize went to Charles Beach for his film ‘Cathedral Triptych’. The runner up prize was awarded to Olivia Maguire for ‘Under My Skin’. The Roger Just Prize for Visual Anthropology went to Chi-An Peng for ‘Starry’ and the runner up prize to Harry Farrell for ‘The 1882 Movement’. 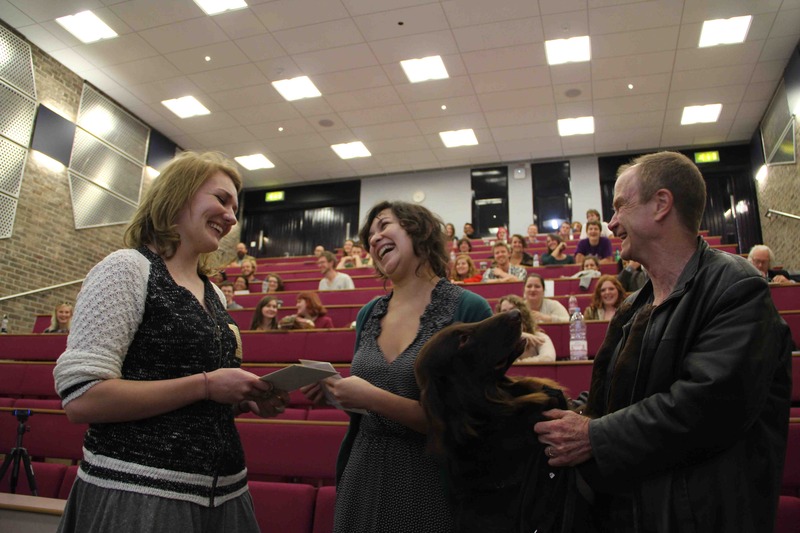 The Audience Prize was voted on by a large audience of students, visitors and staff. It went to Elinor Turnbull’s ‘The Art of Being Lost’. 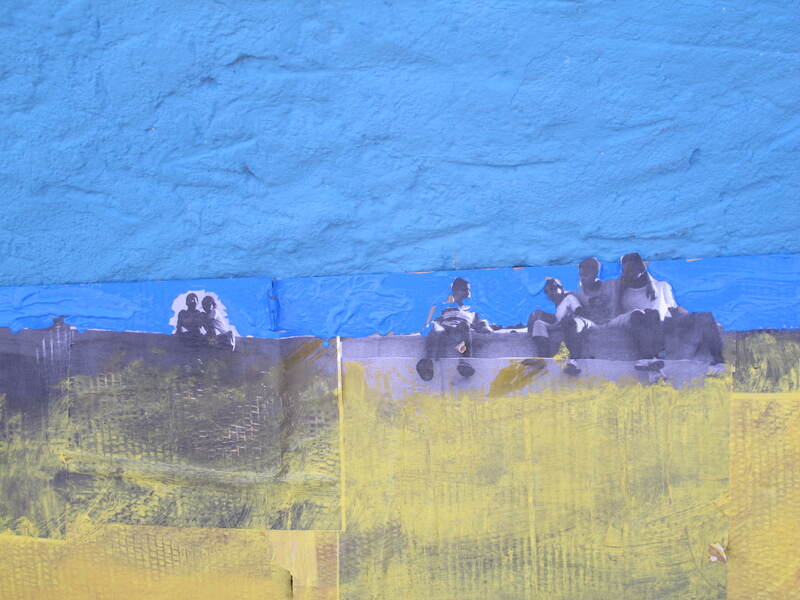 The runner up prize went to Carmen Yam and Thomas Slatter’s ‘From East to West’. It was a close vote with the difference between 1st and 2nd only one vote and closely followed up by Bhokraj and Danny’s film, ‘The Lives We’ve Lost’ picking up a large number of second place votes. 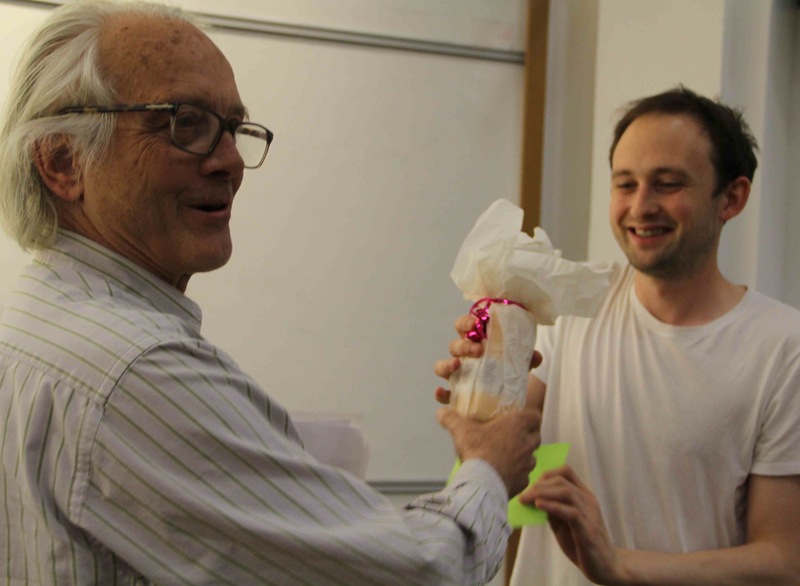 The prize was awarded by Alex Woodcock, representing our very active student group TRIBE, and Kate Moore. 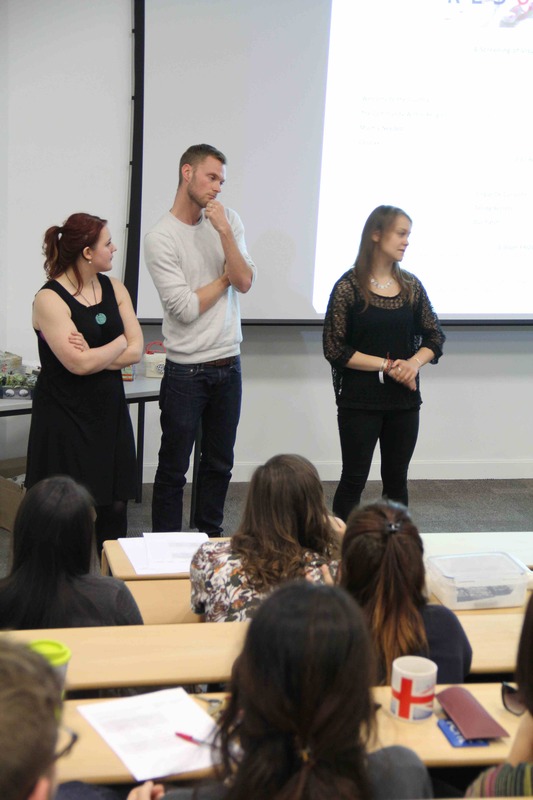 TRIBE organised the first ever undergraduate conference (Breaking Bubbles) in anthropology in the UK. For the photography prizes there were three categories and a special mention. Katie Bowerman won the prize for Innovative Photography. Tabitha Hamill won the prize for Best Set of Photographs. Ville Laakkonen won the prize for Best Anthropological Content and received a special mention. 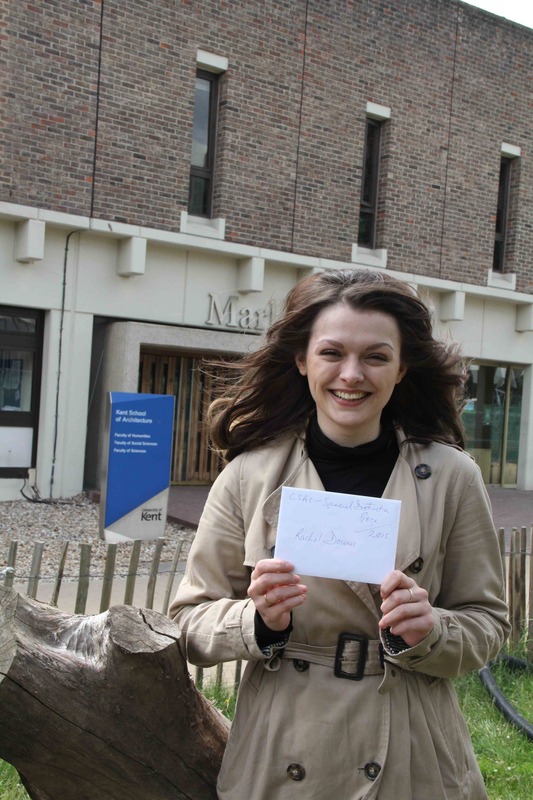 As a visiting student from Finland, Ville was particularly happy to receive this accolade and commented on how studying at Kent had been an incredible beneficial experience. The three prize winner’s work is currently on permanent display outside the visual anthropology room in the Marlowe Building. Students and staff joined together to thank the teachers of the visual anthropology projects course this year, Matt Hodges (Photography) and Mike Poltorak (Video), for their inspiration and considerable work that went into preparing the exhibit and screening. Mike Poltorak thanked the students for their energy and creativity and expressed the desire for them to keep in contact after graduation to help inspire future generations of visual anthropologists. You can see photos of the event here. You can also see all the films and read more about them in the dedicated blogs above. We’d love to read any comments in this blog or in our facebook group, UK Visual Anthropology especially related to how these films can be useful more broadly. Please post the films you like on your networks so that our students get the wider recognition they deserve.